I have visited 40 countries – 23 of them as a full-time wheelchair/scooter user – and I’ve seen many amazing places. But one place remains at the top of my list for jaw-dropping scenery, and that’s Alaska in my home country of the United States. A cruise is easily the best way for anyone, and especially wheelchair users, to visit The Last Frontier, and there are several cruise lines to choose from that sail Alaskan waters. While gliding through Glacier Bay or Tracy Arm Fjord is the experience of a lifetime, even more magic happens off the ship. Assuming you’ve chosen an itinerary with all docked ports of call, here are my picks for the top wheelchair accessible shore excursions or tours to take during your Alaska cruise. The Great Alaskan Lumberjack Show. You can find the entrance to this one-hour show right across from the cruise ship dock. The show takes place in a small open-air amphitheater, and there are several spaces in the front reserved for wheelchair users and their companions. It’s comprised of two competing teams, one from Canada and one from the United States. They take part in all sorts of lumberjack events involving cutting tools and large pieces of wood, with no small amount of smack talking and comedic gestures. It’s only a little over an hour long, but it was absolutely hilarious and very family-friendly. 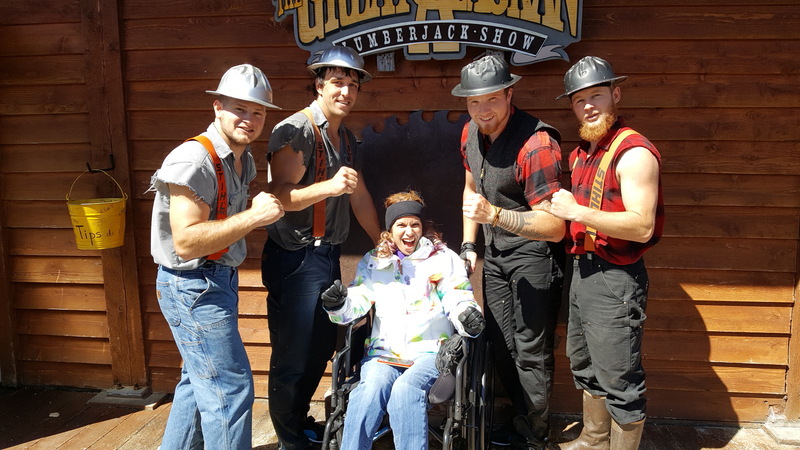 You can also take some fun pictures with a lumberjacks afterwards! This tour can be booked through your cruise line. The “Deadliest Catch” Crab Fishermen’s Tour. Over the course of three hours, you’ll learn how fishermen in the waters off the coast of Alaska catch various kinds of fish and Alaskan King crab. You will also learn why the Discovery Channel show is called “Deadliest Catch.” The stories the tour guides told us were absolutely mesmerizing and terrifying all at once. However, the best part of the tour was when we stopped just off the coast of a small island controlled by a small local Native American tribe. There must have been hundreds of bald eagles waiting in the trees for us. The tour guides started cutting up pieces of fish, and tossing them into the water. And that was when the show began! Imagine anywhere between 50 to 100 wild bald eagles coming in and grasping these pieces of fish out of the water with their huge talons. It was absolutely awe-inspiring! I had no trouble being rolled to the edge of the boat to watch, or to get to and from a comfortable place for the entire tour. I don’t know if I would have been able to go to the bathroom, but since the tour was only three hours I didn’t have to worry about it, fortunately. The tour guides were so incredibly nice and made sure that all my needs were taken care of. And we got some great pictures with them afterwards! This tour can be booked through your cruise line. Mount Roberts Tramway. The Goldbelt Mount Roberts Tramway opened in 1996 and operates May through September. 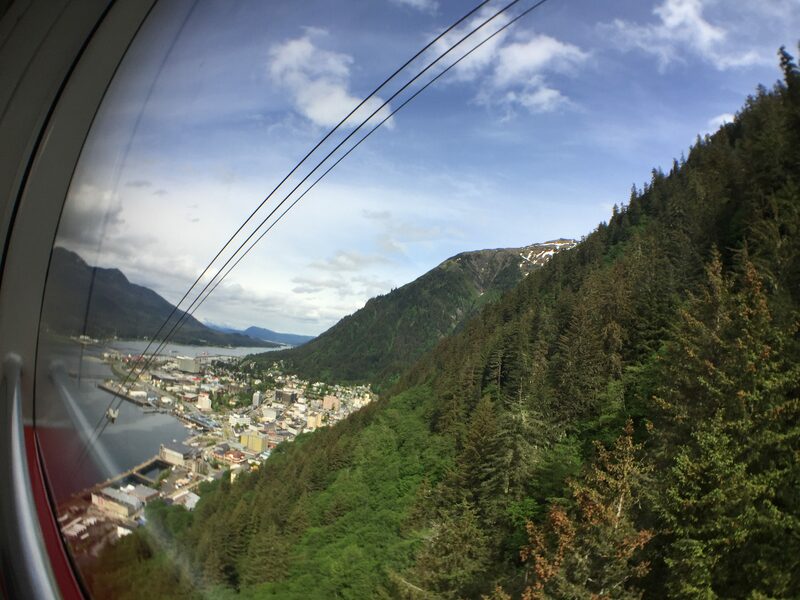 It is the only aerial tramway in southeast Alaska, and is a short roll from the cruise ship dock. Cars rise 1,800 feet from the dock in downtown Juneau through the rain forest to the Mountain House, offering expansive views of Juneau and Gastineau Channel. The Mount Roberts Tramway is one of the most vertical tramways in the world and received the Governor’s Award for facility accessibility design. It is fully ADA compliant and can easily accommodate guests with accessibility requirements. The Nature Center at the top invites you to even enjoy a cup of cider while you muse around many interpretive displays or browse through their gift shop for unique nature oriented gifts, books, and maps. You can purchase your tramway tickets at the visitor center. Mendenhall Glacier Explorer. Your journey begins with a narrated tour of downtown Juneau and the city’s highlights en route to Mendenhall Valley — home of the mighty Mendenhall Glacier. Your guide will point out many of the attractions that you’ll want to see during your approximate two-hour stay at the glacier area. Scenic Photo Point and the Mendenhall Glacier Visitor Center are well worth a visit. Take time to watch the short film about the glacier and the 37 other glaciers that make up the Juneau Ice Field. The area boasts several self-guided scenic trails that allow you to learn about the role the glacier had in carving the landscape. 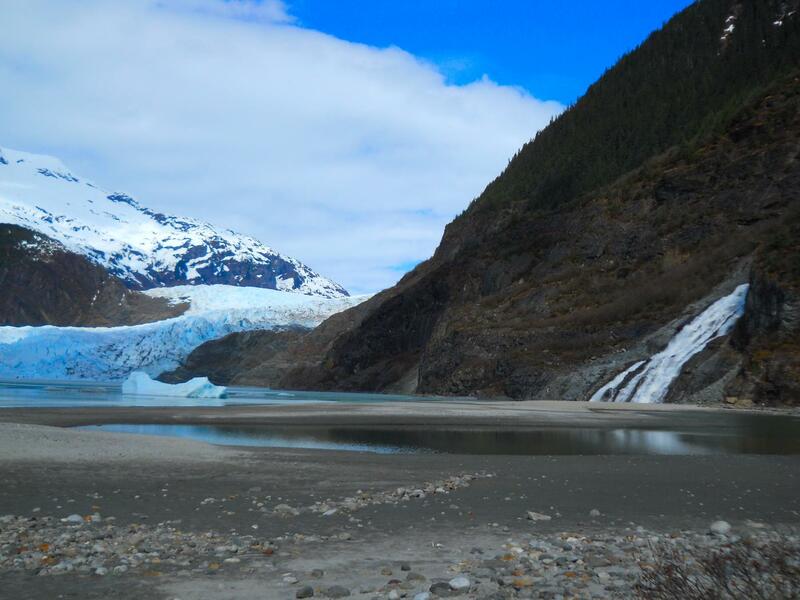 Each of these trails offers a different view of the Mendenhall through trees or along the shores of Mendenhall Lake. The Nugget Falls trail takes you to the base of a long glacier-fed waterfall and offers the closest views of Mendenhall Glacier in the area. Meander through the Tongass National Forest as you explore the Moraine Ecology Trail and the Steep Creek Trail — the latter offers multiple views of wild sockeye salmon during the mid- to late-summer months. This tour can be booked through your cruise line. Book well in advance and make sure you select the wheelchair accessible option so you will be provided with a bus with a lift. Dolphin Jet Boat Tours. What is it about whales? Nothing makes you feel so powerfully alive as the sight of one, especially in an intimate setting and at close range – like what you’ll find with Dolphin Jet Boat Tours. You can hear the air blasting through the blowholes as the massive creature rises from the water, mist floating through the air and dampening your face. And you won’t get this feeling on a crowded, less personal tour boat. 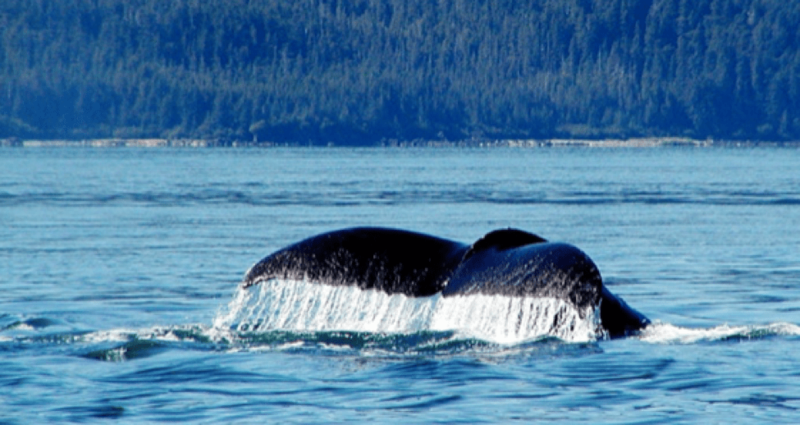 Their tours are operated under special use permit in the Tongass National Forest. The boats are enclosed and climate-controlled for comfort, with large outside decks, a restroom, and comfortable forward-facing seats. The boats have water-propelled jets, so they’re fast! They are an equal opportunity service provider. Anyone needing special accommodation or accessibility should inquire at least 72 hours in advance to ensure they will be able to meet your needs. These tours must be booked independently. Birds, Bears, & Barnacles. The town of Sitka is located on a small but very scenic island off the coast of mainland Alaska. In the late 1800s it was controlled by Russia, so it has a large Russian cultural influence. We signed up for this accessible tour that took us to a birds of prey rehabilitation center, where we got to see bald eagles up close. It was absolutely amazing! There were also many other species of raptors at the center in different stages of recovery from various injuries. 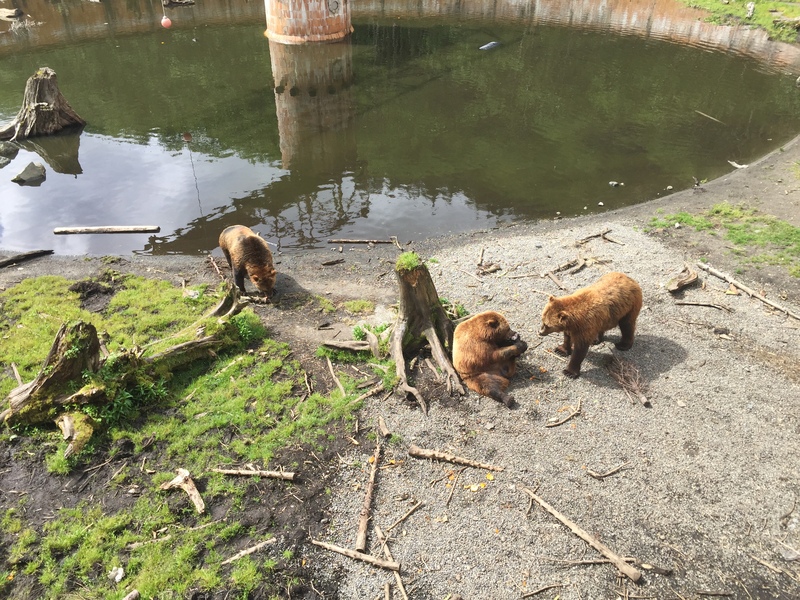 After that, we went to a rehabilitation facility for bears. They had grizzly bears and black bears, and there were also many bald eagles just flying around like it was no big deal. Maybe for them, but for me it was absolutely incredible to see our national symbol just flying around in the wild. Our third and final stop was at a small aquarium and fish hatchery. After you book this shore excursion, you will have to call the company directly to let them know you will need an accessible shuttle bus with a lift for the tour. White Pass & Yukon Route Railway. The Skagway White Pass Railroad Summit Excursion is easily the most popular Skagway shore tour. You’ll take an unforgettable journey aboard the “Scenic Railway of the World” to the White Pass summit. 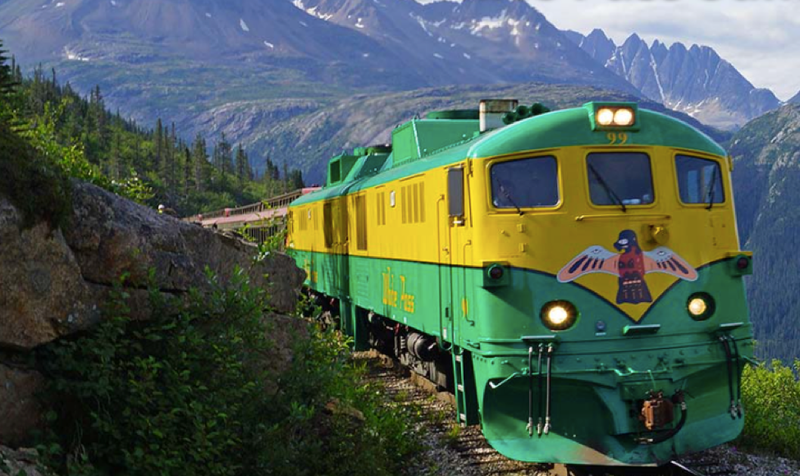 Begin your excursion as you board the train in Skagway and travel 20 miles from tidewater, to the Summit of the White Pass – a 2,865-foot elevation Every passenger enjoys vast canyon views and complimentary bottled water throughout the fully narrated tour. Relax in vintage passenger coaches as you retrace the original route to the White Pass summit, passing Bridal Veil Falls, Inspiration Point, and Dead Horse Gulch. Enjoy a breathtaking panorama of mountains, glaciers, gorges, waterfalls, tunnels, trestles, and historic sites along the White Pass Railroad. See the original Klondike Trail of 1898 worn into the rocks, a permanent tribute to the thousands of souls who passed this way in search of fortune. All Summit Excursion trains are wheelchair accessible. However, space is limited in lift-equipped cars. After you book this shore excursion, you will have to call the company directly to let them know you will need a wheelchair accessible spot on the train. London Taxi Tours. This Victoria tour company has been provided guided tours to visitors to this beautiful Canadian city for over eight years and is now able to offer their outstanding services to people with mobility issues in their fully accessible van. Whether it is a tour to beautiful Butchart Gardens, a city tour, or a wine tour to other areas of our Island, now the whole family can travel in comfort. With your own personal driver and guide you can see Victoria at your own pace. Stop for pictures wherever you want, decide how long to stay at each stop, take a pre-determined tour or plan your own itinerary. Whether it is a 4 Hour Grand City Tour, a half day Wine Tour, or a Tour to Butchart Gardens, they can be of service. This tour must be booked independently. CVS Victoria Bus Tours. 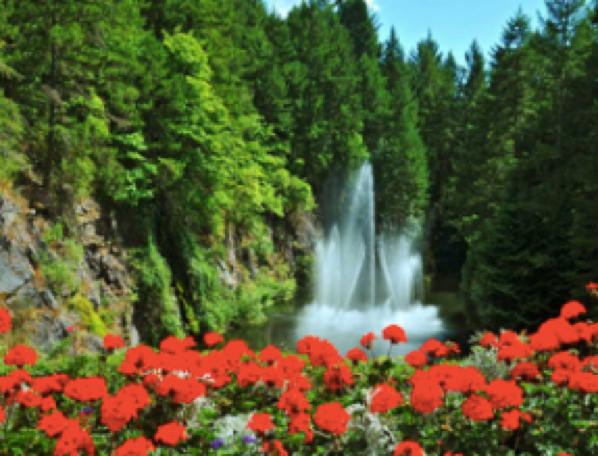 This tour company offers different tours of Victoria, including the popular Butchart Gardens and Butterfly Gardens, as well as a “Best of Victoria” tour. As a heads up, tours depart from different Victoria hotels and NOT the cruise port. You can contact Yellow Cab of Victoria, which has a fleet of 8 wheelchair accessible taxis, to transport you to one of the departure hotels, or anywhere else in Victoria. Please note that Craigdarroch Castle is NOT accessible. There is wheelchair service on all CVS tours, but guests are required to contact them at least 48 hours in advance to make sure that space is available. The double decker buses have a lift and tie downs for wheelchair accessibility on the lower level of the bus. Now that you know of so many exciting wheelchair accessible shore excursion options, are you ready to take that once-in-a-lifetime Alaska cruise? Contact me at Spin the Globe/Travel and book today!